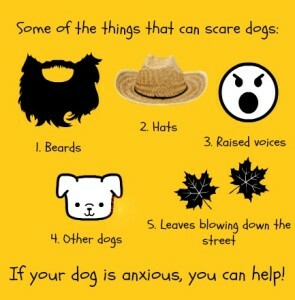 Why do you have an anxious dog? Quite simply because the dog is finding the situation stressful. This is because it either doesn’t understand the situation, what it is supposed to be doing in the situation or because it thinks the situation is a dangerous one. This boils down to one thing really: You need to show your dog that the situation is nothing to worry about, and that you don’t want it to do anything about it. Then it can go from being an anxious dog, to a relaxed dog! If your dog looks anxious, please do not try to sooth it. Our human attempts only further confuse the dog, or confirm to them that there is indeed a problem. By staying calm and taking control of the situation, keeping the dog out of it, we are showing them that it is nothing for them to worry about. For instance, if they get stressed when your visitors arrive, calmly put them out of the room first, let your visitors in, then let your dog back in (provided they are quiet) and have everyone ignore them until they have calmed down. If everyone greets them, then they will think that they are meant to be doing something, but won’t know what! There is far too much to say about all the different situations in which a dog can be anxious in one blog post. 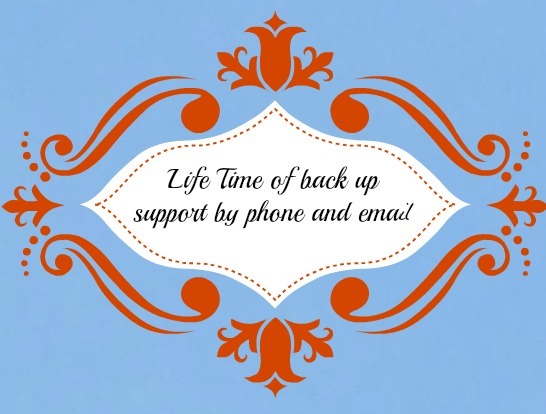 I have written many which are specific to certain situations which you will find by searching through the blogs. 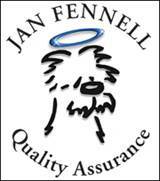 You can also read “The Dog Listener” by Jan Fennell, and get a Dog Behaviourist like myself to come and help you, and make it all make sense for you. 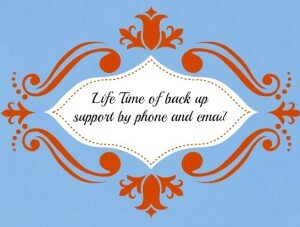 All of my clients get a life time of back up support included with their fee.